The home of Hawaii’s most famous waterfalls, a day spent exploring Hamakua would just begin to scratch the surface of all this area has to offer. Stunning vistas, oceanside cliffs, winding mountain hiking trails, jungle-covered canyons and rolling green hills as far as the eye can see. If it feels like you’re on another planet, you’re in the right place. 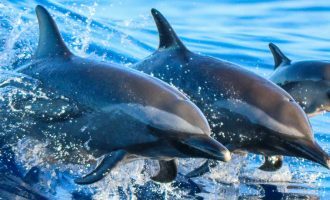 Positioned along the northeastern coast of the Big Island, is the tropical Hamakua coast. 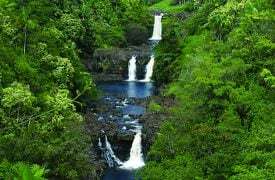 Home to the Hamakua Heritage Corridor, which traverses the shoreline and passes through oceanside cliff faces, dense rainforests, and breathtaking waterfalls, Hamakua continues to be a lush natural resource on Hawaii Island. 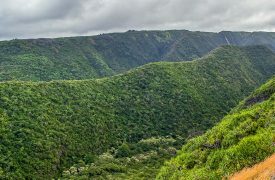 The north shore of Hawaii Island is exposed to major tropical trade winds and heavy, consistent rainfall, which produces steep erosional cliffs and slopes, resulting in frequent landslides. 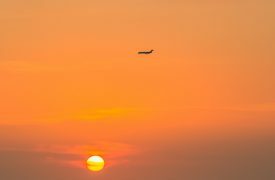 What Hamakua lacks in sandy beaches it makes up for in lush tropical rainforests and dense vegetation in between the rocky ocean cliffs to the northeast and the ever-present banks of Mauna Kea. Depending on your location within Hamakua, you’re likely to see between 6-140” of average rainfall each year. 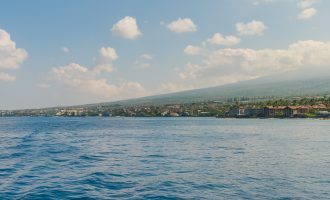 This makes it one of the most geographically diverse and fascinating regions on the Big Island. 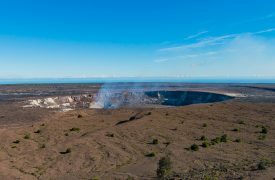 Hiking trails abound along the slopes of Mauna Kea and state and federal lands make for great outdoor adventuring, and recent road improvements have made Hamakua a must for Big Island scenic drives. The region is also home to some of Hawaii’s most famous waterfalls in Akaka Falls and the multi-level Umauma Falls – perfect compliments to a day spent in Hilo and a visit to Rainbow Falls on your way north. Hiking and sightseeing are huge attractions for visitors to Hamakua and its offerings never disappoint. Stunning cliffside vistas, scenic mountain hiking trails, and seemingly endless tracts of rainforest can easily extend your stay in Hamakua by several days. Along the way, waterfalls and scenic lookouts make for satisfying impromptu stops on your drive. 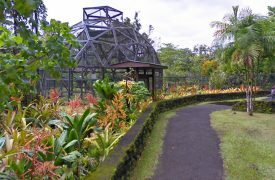 Hamakua is also home to multiple botanical gardens, home to thousands of species of rare and exotic plants. 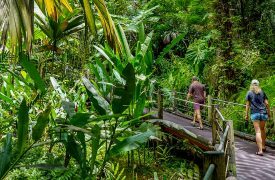 Attracting botanists, scientists, photographers, and nature lovers from around the world, the Hawaii Tropical Botanical Garden is a must-stop for an immersive, up-close look at what makes the Big Island so unique and beautiful. 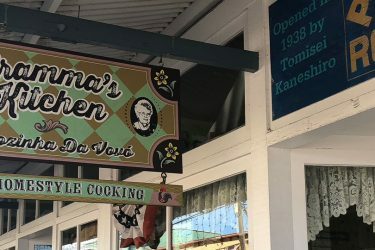 There are many small communities along Hamakua’s winding roadways that provide ample opportunities to shop, eat, and stroll through multiple galleries, but much of the economic power in Hamakua comes from agriculture. Farmer’s markets, rodeos, and fairs are major attractions to locals and visitors alike. 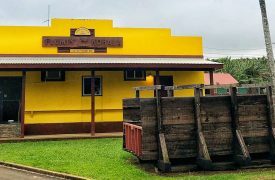 A trip to Honokaa in late May provides visitors a taste of Western Week, the largest celebration in the area and a wonderful opportunity to experience local food, art, and music. 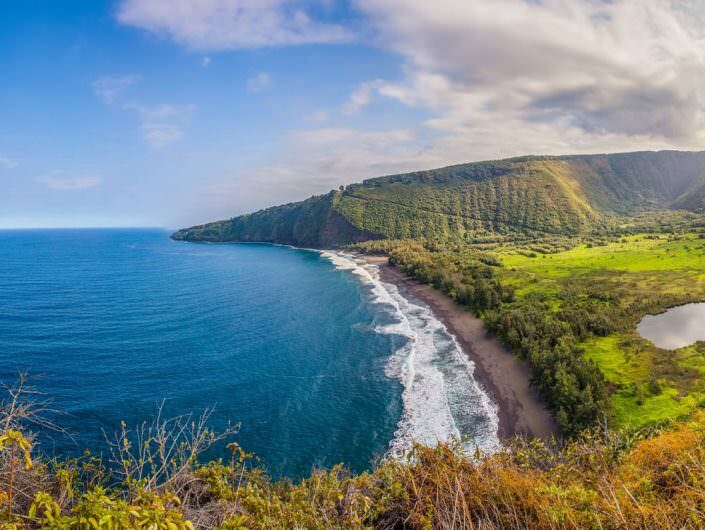 Hamakua’s first residents entered the valleys of Kaawalii, Maulua, Waipio, and Laupahoehoe between 700-900 A.D. They grew taro, bananas, and breadfruit on the generous slopes of Mauna Kea and grew sugar cane where they could. Ranches of pigs, chickens, and dogs populated the more difficult land and residents took advantage of the plentiful natural resources, adding kukui nut, lilikoi, and harvested plants to their medicinal repertoire. Many of the district boundaries that were established by Ali’i (chiefs) in this period still exist today, but the effects of this society’s rules echoed out into one of Hawaii’s most important eras. The legendary Umi line of chiefs, of which Kamehameha was a member, arose in Hamakua’s Waipio Valley. Hawaiian legend holds that Kamehameha was hidden in the Waipio Valley in order to protect him from a rival chief. In the early industrial era, small farmers with a few hundred acres of land gave way to incorporated sugar plantations along Hamakua. The Honokaa Sugar Company grew to more than 5,500 acres in less than 20 years before merging with the Pacific Sugar Mill in 1928 and more than doubled that number. Coffee plantations were also a major player along the Hamakua Coast, with the largest plantation existing in Pohakea. 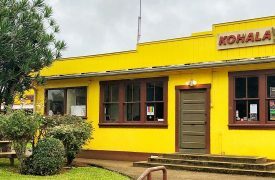 Once the massive Hamakua Sugar Company closed down in 1994, a renewed interest in high-quality coffee and opportunistic local farmers sparked an uptick in regional and artisanal Hawaiian coffee in the area. Much of the labor on these large-scale plantations were Hawaiian, but after a ban on Chinese immigration in 1882, the islands became a major attraction for working immigrants from Japan, Portugal, Puerto Rico, Korea, and the Philippines. Because much of the communities in Hamakua were dependent on the plantation ownership and populated with immigrant families, the populations were largely decimated once the plantations closed. Only Honokaa remains as a viable, flourishing community from this era. Still an agricultural force on the Big Island, Hamakua continues its legacy of ranching and farming. 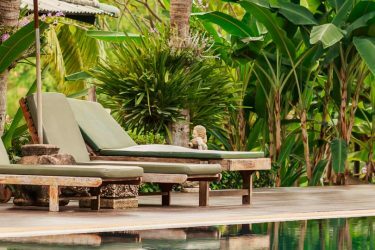 Smaller, family-owned ranches continue to exist in the area, as do artisanal coffee and macadamia nut plantations. 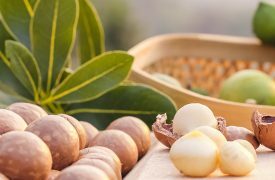 One such popular plantation is the Hamakua macadamia nut plantation, with large sillos full of these Hamakua macadamia nuts. The plantation has a visitor’s center for anyone that wants to learn more about the Hamakua macadamia nuts and even taste test one. 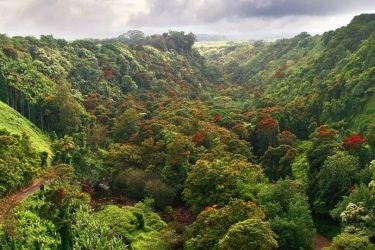 The lush rainforests of present day Hamakua provide ample opportunity for scientific research and the supporting botanical gardens in the region reinforce the diverse and unique ecosystem along the slopes of Mauna Kea. Travel to Hamakua usually means a trip along the high plateau between Mauna Loa and Mauna Kea, but access from the north and south are possible via smaller, winding roads. 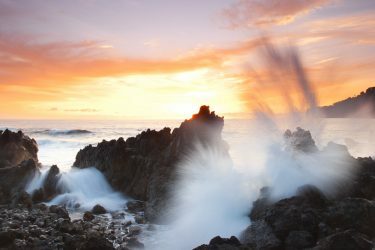 Visitors who venture to the northeastern point of the Big Island are rewarded with awe-inspiring views of rainforests, immense waterfalls, and seaside vistas that will last a lifetime. Hamakua is a natural paradise with few dining options available nearby, necessitating some home-cooked meals at your vacation rental. 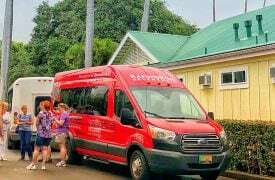 The Hawaii Plantation Museum & Laupahoehoe Train Museum offer a look at just how impactful export industries were to Hawaiian history. 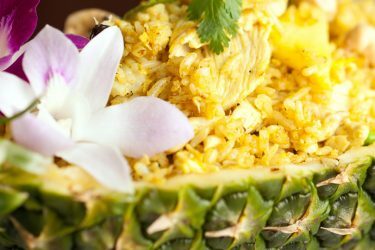 If you’re on your way across the northern end of the Big Island these authentic Hawaiian eateries will satisfy your hunger. 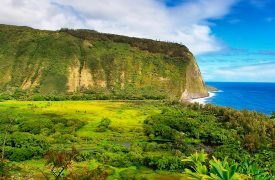 If you’re visiting the Hamakua Area, there are many state and national parks you should see to gain a taste of Hawaii’s culture and unique natural wonders. 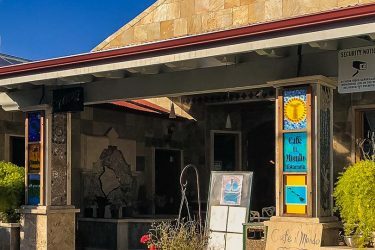 Hamakua is a must-visit for those seeking natural landscapes, but the dining options are thin so check out these restaurants in nearby Honokaa. The beauty and expansive landscape of the Big Island lends itself perfectly to a night or two spent under the stars. Na’alapa Stables and their unique take on Big Island horseback riding provides an incredible opportunity for adventurous visitors to enjoy the beauty and grace of Hawaii. 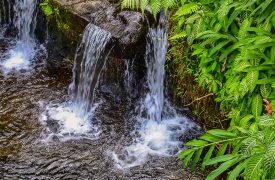 The Hawaii Tropical Botanical Garden is a 40-acre natural garden of tropical plants and a nature lover’s paradise located in the Onomea Valley. 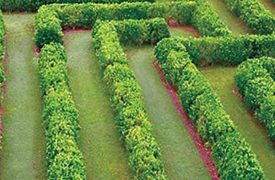 This beautiful botanical garden offers over 400 acres of incredible lush tropical plants, a massive collection of wild orchids as well as exciting Zipline and Segway tours. 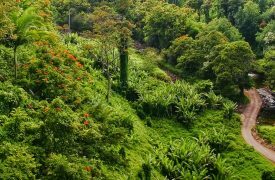 Skyline Eco Adventures offers three different zipline tours perfectly catered to a memorable Big Island adventure for the whole family. 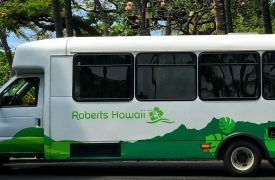 Locally-owned and operated right on Hawaii’s Big Island, Wasabi Tours does things different. With expert guides and ever-changing adventures, you’ll be as excited as you’ll be blown away. 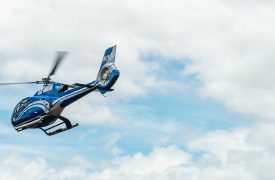 For those seeking soaring sightseeing and adventure opportunities on the Big Island, KapohoKine Adventures can make it happen in incredible style. 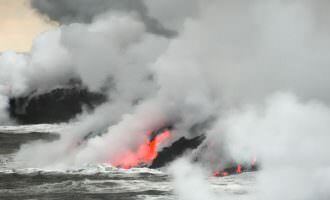 Offering both aerial tours of the Big Island and skydiving opportunities, B.I.G. Skydiving is an unforgettable experience above one of the world’s most beautiful natural settings.